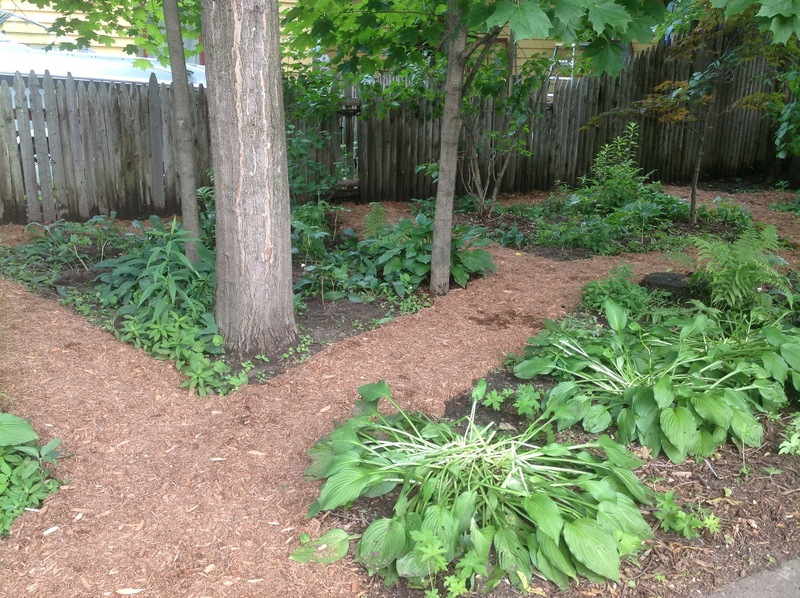 Recently I had the opportunity to help develop a new secret garden in Saratoga Springs, NY. There was a small, disorganized collection of existing shrubs and perennials in an established bed by the patio that backed up to a wild, overgrown woodland area. It was easy and fun to bring some order to the garden by transplanting the existing perennials and adding about 30 partial sun tolerant New York native plants to the space. 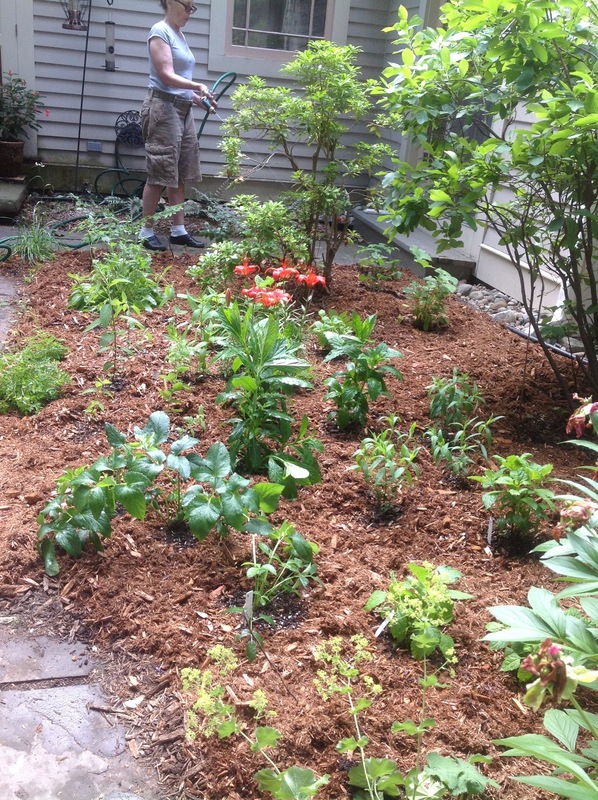 The addition of the new native plants will bring many more butterflies and birds into the yard, and it will make the garden much easier to care for because the perennials are planted close enough to each other to mostly crowd out weeds and retain water. The homeowners have a rambunctious 9 month old puppy who tears through the woodland area everyday like a cheetah, so this helped us decide the design for the wooded area. 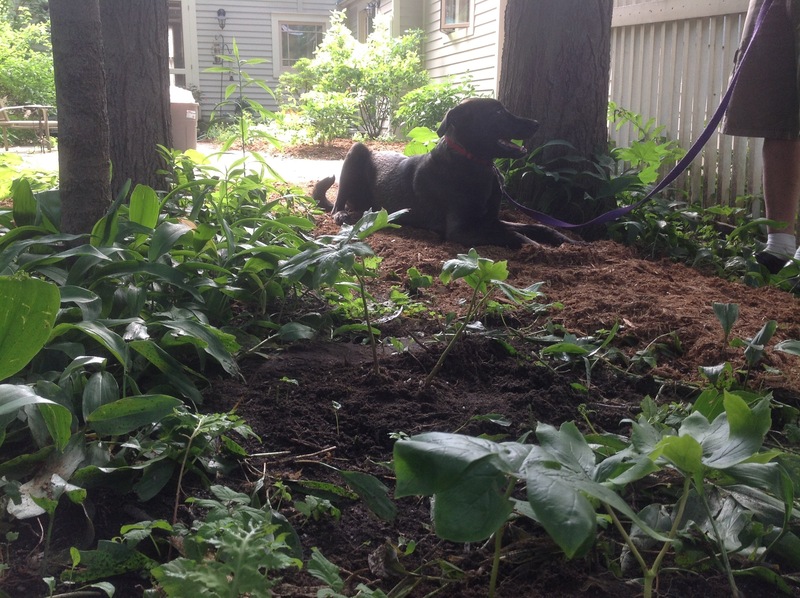 We constructed a simple nature trail through the back lot that the puppy will feel welcome to run laps around, and planted some tough, colonizing, shade loving native plants: Mayapple (Podophyllum peltatum) and Canada Anemone (Anemone canadensis). If the puppy tramples the Mayapple or Anemone, they may break but they are hearty enough plants that they will ultimately survive that kind of tussle, and over time expand through the area to hopefully outcompete the Bishop’s Weed. Saratoga Springs is a city that hides many beautiful secret gardens and it was a delight to be called on to be the landscape designer for this secret garden project.